So, builder has to handover possession without these extra demands. Congratulations! everyone as this order is applicable for all 1100 flat buyers. It is the result of effort and dedication of 200+ members in Piyush buyers Yahoo! group and sacrifices of front line members. They can't delay possession now as they are under watch of both Honourable High Court and National Consumer Disputes Redressal Commission (NCDRC). Dheeraj Ji, Any word from Builder or court order, when will they be handing over the keys for 3 BHK and timeline for 2 BHK ? This is excellent news. This proves that together with the vision and dedication of a group, along with a competent lawyer, justice can be sought and won. There is no use of complaining on emails about builder harassment, you will have to stand up and fight for it. If i understand correctly the above is just a stay and we havent won it yet... ? Yes, it is stay. And builder has to offer possession without these additional demands. Jayanta wrote: This is excellent news. This proves that together with the vision and dedication of a group, along with a competent lawyer, justice can be sought and won. When is the next hearing ? I think the consumer case is still not updated. May be i dont have much knowledge but the previous proceeding doesnt give me any view about what actually happened. Next hearing date showns as 15th April and i think thats what you have shared with everyone. I thought a stay is supposed to be there till the next hearing and a final judgemnt has to be passed on this case. I am also planning a similar case against another builder. Can we leverage the same lawyer as he might have fair idea about Greater Faridabad developments. Please don't call me Dheerajji or Mr. Dheeraj. Just please call me Dheeraj. It is a combined group effort and I am just a worker. 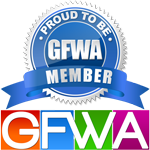 If you feel that GFWA is doing good work, then please immediately RENEW GFWA membership (memberships before 2013 are expired) or become GFWA member. Please follow the links under Site Announcements for the same. Aditya, please note that lawyer is very expensive and is based out of Gurgaon. Please ensure that there should be a group of 40-50 buyers for the same. Do we have any update whether there is progress on the work happening at piyush heights.? Any one who stays near by and if they can share the pictures would of great help..